• Seamless 14-gauge stainless steel work surface and support structure. • Shipped knocked down and can be assembled in minutes without tools. • Accessories available include stainless steel drawers, stainless steel keyboard trays and swing arm for computer monitor. Choice of solid bottom shelf, 3-sided frame or H-frame. Model number pertains to type. Image shown is table with solid bottom shelf. Bottom solid shelf adjustable in 2″ increments. 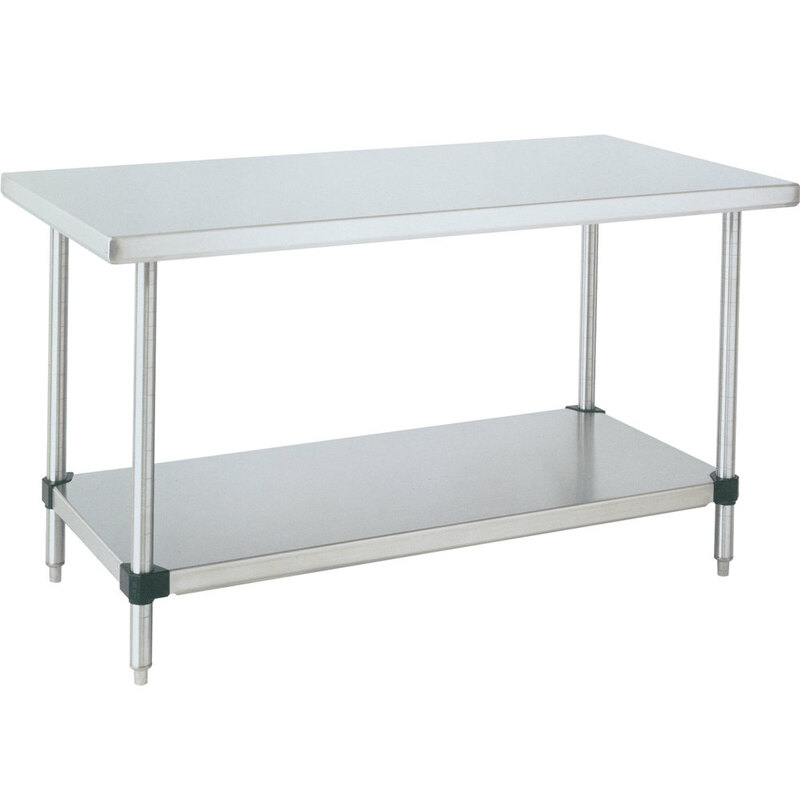 Please contact us for non-stainless steel tables and/or additional sizes.